NORTH SHORE, OAHU (HawaiiNewsNow) - The 2018 Da Hui Backdoor Shootout in Memory of Duke Kahanamoku Invitational shortboard surf contest is on for Wednesday. Over the next three days, eight teams will be competing for the title. Among them is last year's winner, Koa Rothman, who will be hitting the waves with Team Quiksilver. His older brother and former world surf champion, Makua Rothman, is surging for Team Hawai?i Hui o He?e Nalu — along with Jimmy "Uluboy" Napeahi, Mason Ho, and Eala Stewart. Two Da Hui WAX teams, along with two Volcom teams, and one team from Japan and Weedmaps round out the talented field of surfers. The Shootout is a uniquely jersey-less, four-man-team format and the only contest where surfers can score a perfect 12-point ride. Another thing that sets it apart from other competitions is the fact that the call to surf or not surf is something voted on by the surfers themselves. The Invitational features four different divisions of water sports competition in honor of the legendary Duke Kahanamoku — including bodysurfing, longboarding, standup paddle boarding, and shortboard surfing. 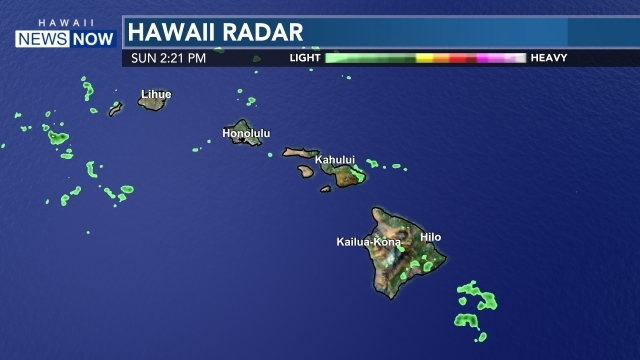 A High Surf Advisory is in place for all north-facing shores of Oahu and surf is expected to reach 16 feet Wednesday, then rise to 18 to 22 feet on Thursday. Forecasters say the new west-northwest and northwest swell that's moving in is only expected to get bigger after that — with the possibility a 25-foot-plus surf. A High Surf Warning could be triggered Friday or Saturday. These are expert-level conditions and only extremely experienced watermen should be in the water — especially at Pipeline, which is notorious for huge waves that break in shallow water just above a sharp reef, forming large, hollow tubes. The tube rides are a major thrill for surfers able to catch them, but oftentimes not without taking major risks. Be prepared for additional traffic congestion near Ehukai Beach Park in Pupukea if you're heading toward the North Shore. If not, you can watch the contest it on Surfline.com and Spectrum Hawaii Surf Channel 250 or HD 1250.